Five companies were recognised for their contributions, innovations and achievements to life sciences across the West Midlands at the Medlink West Midlands Medical and Healthcare Business Awards on Thursday night (7 February) at the Birmingham Conference and Events Centre. 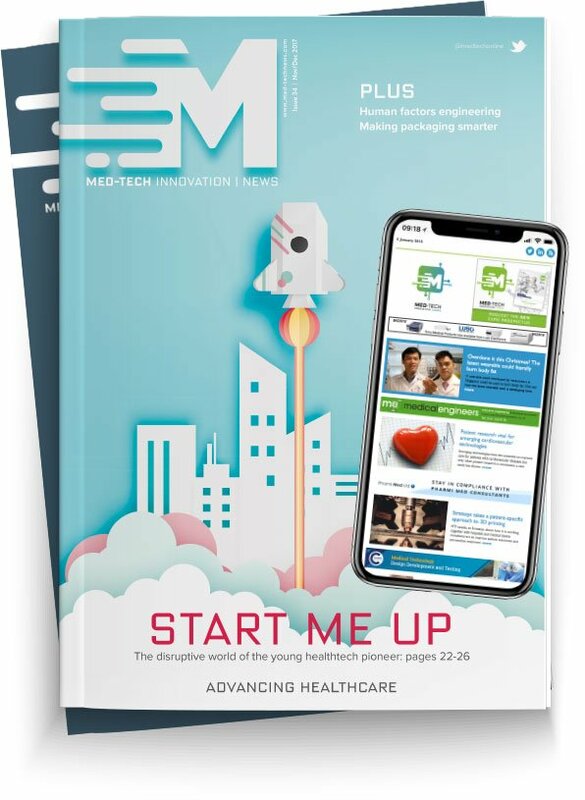 Winners across the Start-up, Innovation, Partnership with the NHS, and Outstanding Achievement award categories, along with regional Medilink award winners from around the UK, will now be entered into the national Medilink UK Awards held on 15 May, in association with Med-Tech Innovation. Winner: Orthocell UK – Orthocell have developed an exclusive partnership with Carrera Medical in the marketing of Orthocell’s CelGro, a collagen membrane and significant new product for aiding quicker bone growth in dental surgery. Orthocell UK have made an encouraging start to penetrating the European dental market and are predicting significant growth over the next 3 years. Winner: The Tinnitus Clinic – The Tinnitus Clinic are an adult audiology rehabilitation provider. They have created an online Sound Matching Tool for potential patients to self-test their tinnitus tone, unique in its use in supporting patients’ pre-appointment thought patterns. Being able to identify what their sound is like can help patients describe their condition to clinicians, friends and family. Winner: B13 Technology – B13 Technology use technology to help businesses investigate challenging ideas and discover disruptive thinking. In partnership with the Children and Family Directorate, the company built a version-controlled application managed by a central administrator, which allows all employees to view accurate and up to date Clinical Guidance notes on their smart phones. Winner: Evolyst Ltd – Evolyst specialise in the development of patient-centred health technology solutions. Their current focus is tackling mental health and they are currently working alongside Adjust4Work Ltd to develop an occupational health adjustment tool that allows users to improve their occupational health. Many health problems arise from poor well-being at work and this platform is a major step in creating positive change. Winner: Kimal PLC – Kimal is an innovative and trusted manufacturer and supplier of specialised procedure packs and vascular access devices to hospitals across the world. In December 2018, Kimal received the keys to their new purpose built 144,000sq ft warehousing facility, doubling the size of the existing site, showing that Kimal still has great potential for future growth. Richard Stone, CEO, Medilink West Midlands, said: “The 2018 Medilink West Midlands Awards have been a great success, and I would like to offer my congratulations to all the winners and finalists. “It’s been great to see and to celebrate all the outstanding contributions and exceptional work across the West Midlands life sciences sector in the last year.